The essentiality of vitamins as a source of nutrients, that enables the smooth and normal functioning of the body, is well accepted by many. Vitamins are classified as two type s- water soluble and fat soluble; Vitamin C and the B group of vitamins is water-soluble whereas, Vitamins A, D, K & E are fat soluble. What is, however, lesser known is that Vitamin D is very difficult to obtain in required amounts from your diet alone. If you are a vegetarian, then your chances are almost non-existent of receiving a sufficient amount of Vitamin D through diet alone as the only reliable source is raw milk and almost all of the milk products that we get in the cities is from processed and pasteurized milk. Even non-vegetarians don’t have it easy, because vitamin D is found mainly in oily fishes like Salmon, Sardines and Cod Liver, apart from Beef and Egg yolk, while most consume Chicken and Lamb. Vitamin D is required for good bone health; the best and the most reliable source of vitamin D is sunlight. However, due to the adoption of urban lifestyles, vitamin D deficiency has reached epidemic proportions; 90% of patients we see are severely vitamin D deficient. The issue with Vitamin D deficiency is that patient complaints are extremely vague and possible to be missed by most doctors and sometimes even patients may not report them putting them down to the general wear and tear of life. Some can, however, get severe symptoms including stress fractures as well as neurological symptoms. We are all aware of Vitamin D and its role in the absorption of calcium and keeping your bones healthy and strong. However, what is equally well established but not well known and in fact is very important are some of the other health benefits from Vitamin D. Studies have shown that vitamin D decreases the risk by half in certain forms of Cancer like Colon and Breast Cancer. People with deficiency have been shown to have significantly higher incidences of various neurological disorders like Dementia, Depression, Multiple sclerosis, Psychosis and even Schizophrenia. The biggest plus point is that people who have good vitamin D levels have a much lower risk of developing Type 2 Diabetes, which is another epidemic we are facing in urban India. Vitamin D plays another important role; boosting the immune system. Multiple studies have shown that people with high vitamin D levels are less likely to get Influenza and Flu-like infections. Other less well established but actively under research benefits of Vitamin D includes protection against Heart disease, High Blood Pressure, and Autoimmune Disorders. Vitamin D supplementation is a no-brainer. Supplementation is extremely easy and after an initial weekly dose can be consumed once a month. However, you can obtain it naturally; the only problem lies in the consistency of sun exposer. 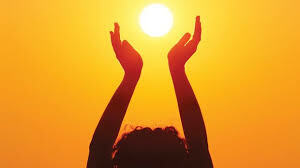 To obtain a day of sufficient vitamin D supply, you have to spend time in direct sunlight, approximately between 60 and 120 minutes with 30% body surface exposed. Frankly, for a working person, it is near to impossible to achieve this on a consistent basis.